With Christmas Day being only 2 weeks away, most of you may have already prepared your marketing campaigns and your eCommerce stores as well. If you have not, don’t worry, you still have time. The email has been the most popular way to connect and re-engage with your customers. But, do you know stats of your last year’s Christmas email marketing campaign? What was the open rate or clicked through rate? The best way to deal with the bad things which happened last year is to improve those areas and not repeating the same mistakes again. Along with your marketing strategies for this Christmas season, try to give your emails a personal and apt touch. And be assured that the customers will open your emails and check out the content and make the purchase by visiting your store. As the number of mobile users is going higher, you must have already updated your online store as mobile friendly. As a well-organized online retailer, you must have started your pre-holiday engagement campaigns, way earlier. You may have already prepared the email lists and sent the re-engagement or activation emails to all those hibernated customers. Now, this is the time to start reminding your online customers that you have a deadline for the Christmas Day Sales by creating a sense of urgency. These reminders will make them realize that your brand and offers were there in their minds and then, they will start searching for the apt offers and purchasing those products. Don’t send emails to the customers who have not responded to your earlier emails as there are fewer chances of them coming back. So, try to focus on the audience who has responded and showed interest. Ideally, you should start sending the emails for running deals and discounts and including a catchy and clickable ‘Buy’ button. This will take your customers on the product page and however, increase the conversion rates. Try to make the Buy Now feature mobile friendly so that you can target both the audience at one go. You must have started building the excitement about the sales or discounts offered in your eCommerce web store to your customers since few months. This is the time when you should continue that eagerness and excitement in your customers by promoting the deals and more engaging with them. Find out how many subscribers are following your promotions or preferences by conducting an online survey. And as per the results obtained, focus on your target audience along with attracting some more new visitors. Don’t forget that your competitors will also be doing the similar things. So, to compete with them you need to do something more and keep your subscribers as well as customers engaged by sending more than just one newsletter and an email which reminds them about the deals, offers, discounts, urgency, delivery dates, last date for orders and your working hours. Once you are done with the Christmas marketing emails, make sure to aware your customers about your next move, i.e. Boxing Day, New Year Parties, Resolution etc. The opening and click through rate of the Emails mainly depend upon the subject line. The subject line of the email should be optimized, which means it should be equal to or less than 50 characters and has to-the-point keywords. The long and irrelevant subject lines lead the email marketing into the spam filters. So, even if you are offering a discount or something for free, try to phrase it in a question form and if you want to share tips, ideas, checklist etc. you can include numbers in the subject. As these things make people open your email and read the entire content. To increase the email open and click through rates, you need to prepare the content in a personalized way along with sending that email with a punchy subject line. Before sending those personalized holiday sales email, you also have to do some research about the shopping history and behaviour of your subscribers/customers. The research will help you to create segments of the email lists. By creating segments, you can manage to create email contents which your customers will find exciting and relevant to them. The most common segmentation and personalization can be done by dividing the customer list into males and females. You can create a different email for males by including gift suggestions for women, kids or friends and to distract them more, you can add irresistible electronic device offers. And this will make you sure that the male category will love your promotional email and come to your website and make the purchase. Similarly for the female group, add some gift suggestions for men, kids, family or friends and with some extra research make it personalized by adding deals of products which they will surely not ignore. For example, a huge deal on accessories or fashion products. 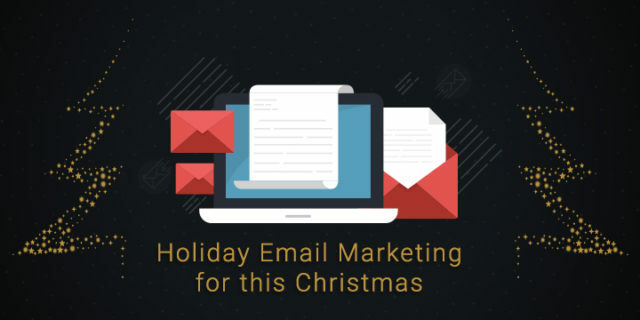 When you are planning to work on email marketing for Holiday, make sure to include the other Festive Days coming next such as Boxing Day and New Year. No doubt that the Christmas Day is the main focus of many online retailers just like you, but don’t neglect the customers shopping on other festive days, to stand out from the rest of your competition. In case you are going to close your store or business after Christmas Day till New Year Celebration, you can plan and prepare the campaigns in advance and schedule them to not miss any opportunity. With the Christmas Day a few days away, you may have been sharing the social media links within your holiday sales email. The links for Social Media profiles help you to allow your customers or subscribers to visit your profile, see the product offers or promotions and make the purchase. To increase the visitors or bring the subscribers to your eCommerce website and make them purchase the special festive products, you must link your email marketing with the social media platforms. As said earlier, email marketing is the best way to promote your Christmas Day Sales. So, include the above-discussed tips in your email marketing campaign and see an increased sales and conversion rate this festive season. If you need any help while implementing these tips into your Magento eCommerce store and want to add a personalized touch, we would be happy to help! Author Bio: Darshit Parmar is working as a Magento eCommerce Consultant at M-Connect Media. 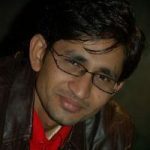 He has gained expertise and experience on PHP programming, open source technology, and internet marketing projects within his nine years of tenure in Magento, eCommerce and SEO industry. Along with managing the marketing team he shares his knowledge through M-Connect Media’s blog page and guides his Global clients with the eCommerce UI and UX solutions.